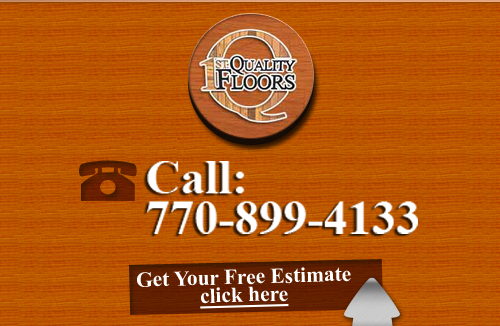 1st Quality Floors is the flooring company of choice in the Johns Creek, GA area. 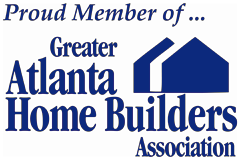 We provide homeowners and business owners with the highest quality workmanship and flooring materials in the area. 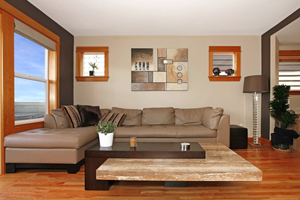 You have a lot of options for flooring including a custom design that sets your home apart from any other. With the design elements like border or patterns, a regular floor can go from great to outstanding with this little bit of creativity. When you're thinking about new flooring or about refinishing your original floors, you'll want to entrust the installation or refinishing to professionals who understand the materials and can get the job done right. With our Johns Creek Flooring Company, you'll have a flooring company that offers you full services you can trust for your residential or commercial space. Whether you're looking for new hardwoods or want to refinish a luxury floor, our Flooring Company knows how to provide you with everything you need for your flooring. Our Johns Creek Hardwood Flooring comes in a multitude of colors and materials. Your choices can range to meet all your functional and aesthetic concerns. Whether you're interested in redecorating or restoring your original floor, we can get your floor looking great again. Trust 1st Quality Floors and you'll get nothing but the highest quality services and workmanship along with your choice in quality flooring materials. Our professional Johns Creek Floor Refinishing experts can restore your floor to its original luster and shine. Repairs are made wherever needed and the surface materials refinished. Whether you need re-staining or just re-sealing, we'll give you many options to choose from to bring back the glory of your original floor. When you're looking at LVT flooring, you're looking at a high quality luxury vinyl tile. This type of flooring gives you all the high class luxury you're looking for without the cost of first class materials. Do you want the look of granite or marble but in a flooring that's easier to repair and replace? LVT can give that to you and more. Let us know what you're looking for and we'll show you everything we have. You'll be surprised at how many options you have available! If you are looking for Johns Creek Flooring Company then please call 678-615-7799 or complete our online request form.